This desk lamp is exactly like the Trond C-clamp desk lamp except this one has a base connected to the gooseneck. But here is the same specs , this is one is more for if your not portable like the c- clamp one as that one is more if your going to take it places to attach it. It has a heavy duty top cover lamp shade, that way the light only shines where it needs to be, the neck is flexible that is why they call it a gooseneck. 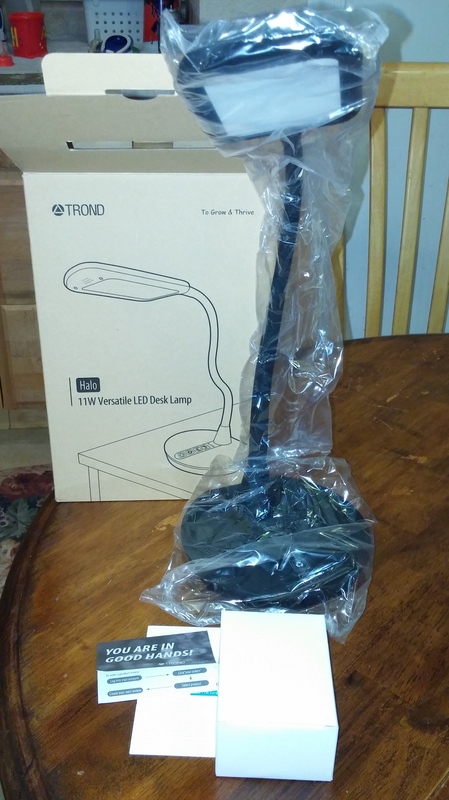 This desk lamp is just like the Trond C Clamp light except that this one has a base that sits on the table or desk. There is a up and down button to make it brighter or darker, also press it quickly to change the settings. The next button it looks kinda like a recycle sign that is for 3 different light modes, which I will get to in a bit. 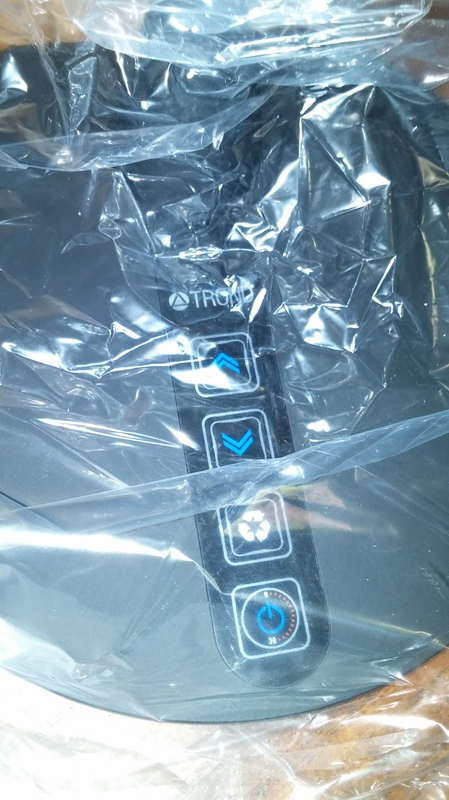 The next one is the on/off button. This you can press for a 30 minute timer hold for 2 seconds to set this feature. If you look above the settings you can see what looks like little dots, those when you have the light on this lets you know how bright it is, so the the more lighted dots you see this indicates how bright it is, So what kinda features your wondering this lamp has to offer your wonder? *Flicker free and anti glare – This is a really nice feature it adopts to the surface lighting source and a light guide. Which means it creates a soft flicker free light and fades out shadows , so yoiur able to see what you are doing and not have to worry about shadows interfering and it also helps not feeling fatigue from the lighting being to bright or having to work long hours. I know sometimes working long periods with a light on can give you a headache and feeling. * 3-light modes and 5 level dimmer – This is a really interesting feature I was quite surprised by this feature. You really don’t see this feature in desk lamps these days. So, there is 3 light modes which are for working,reading and relaxing. The dimmer really is unique instead of thinking of just making the light brighter or darker this feature is actually goes by color temperature, it also adjusts the brightness to your needs.